Looking into ‘going green’ for your next home improvement project? Want to find a siding contractor? If so, learn more about how you can improve your insulation at home. There are many ways to effectively reduce your carbon impact if you’re planning to do some improvement projects for your home. But, before you consider investing in solar water heating, heat pumps and solar panels to switch into green sources of energy, start by finding out whether your home is badly or sufficiently insulated. Today, Home Pro Exteriors, Inc. shows you how poor insulation affects your utility costs. Poor insulation at home can add up to 15% of energy loss. Moreover, it can also contribute to 15% more of the carbon footprint you will leave behind. Your home’s roofing insulation plays a big role in protecting you from the effects of the ever-changing seasons. It serves as a protective blanket in reducing the transfer of heat. No matter where you are located, it’s important to maintain the right temperature for your home. To make sure your home has optimal insulation, consider the budget, location and the intended use. If you’re getting a roof repair, let your contractor check on your roofing insulation, too. Insulation is one of the most efficient ways to save energy because it keeps your home cool during summer and warm during winter. It is sustainable and can help the environment by reducing pollution. So, if you want long-term protection in your home, check your insulation regularly. What are you waiting for? We are the top roofing contractor in Monroe, NY. Call us today at (845) 747-0035. 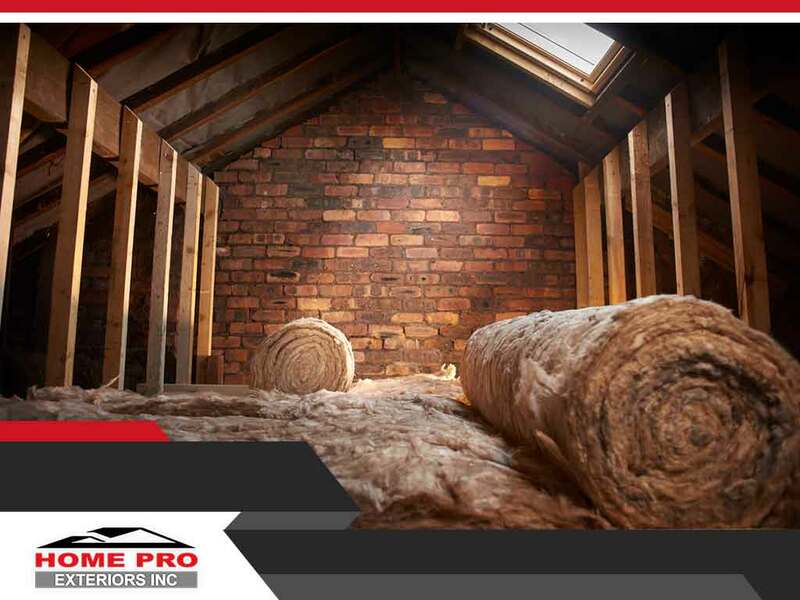 With years of expert roof replacement experience, Home Pro Exteriors Inc. can surely help you insulate your home properly.